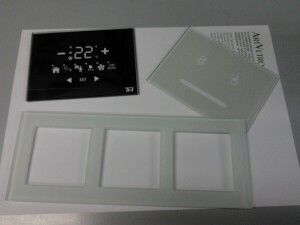 Plates for switches and home automation » ArtVetro s.r.l. In the target of constant innovation that distinguishes us, we have expanded our production specialized in the production of switch plates and panels suitable for touchscreen technologies dedicated to home automation. The plates for switches can also be implemented with the water-cutting and produced principally with tempered float or extra-clear glass, transparent, or serigraphed on request. 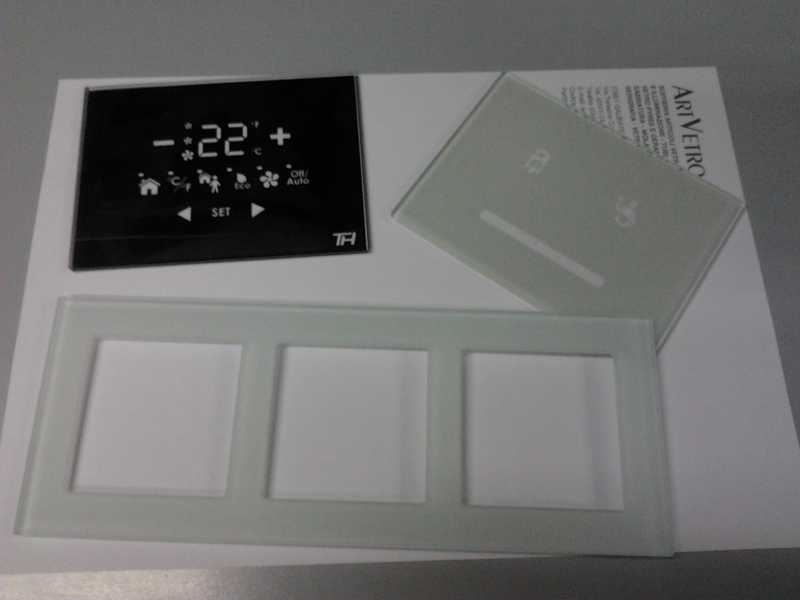 The panels for home automation can be composed with any symbol required by the customer via screen printing.